We were asked if we can repair the 10MM spark plug threads in many of the newer sport bikes. To answer this request we have developed a new process for these bikes. 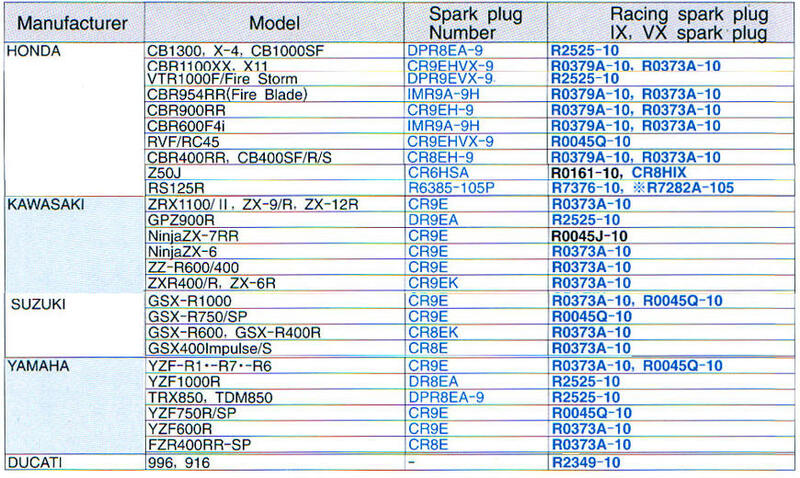 Check the chart on the right to se if your bike or the NGK spark plug number is listed. Click on chart for larger size.